OKLAHOMA CITY � As requested by a national organization of immigration lawyers, the Obama administration has postponed for 60 days a new regulation changing the types of documents acceptable for employment eligibility verification. Oklahoma City immigration attorney Doug Stump said Monday that the postponement until April 3 provides for a period of review and comment. Under the new I-9 regulation, which was scheduled to take effect this week, employers could no longer accept expired documents to verify employment authorization, among other changes. "Now would be an opportunity for U.S. businesses to further educate the Obama administration about their concerns with the I-9 compliance program," Stump said. The written-comment period has been extended through March 4. 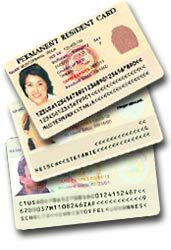 The text of the proposed regulation, USCIS-2008-0001, can be accessed at www.regulations.gov, where comments can also be made. Stump, secretary of the American Immigration Lawyers Association, said that in recent years the government put into play a three-pronged approach to ensure that U.S. employers assumed responsibility for immigration compliance: employment-eligibility compliance, the troubled E-Verify program and the Social Security mismatch letter program. Mismatch letters inform employers that some information reported for a particular worker does not match his or her records with the agency. E-Verify is a federal electronic program for employment verification, which Stump said had been scaled back to apply only to federal contractors. Its effect was postponed last week to May 21, by agreement of parties on both sides of a lawsuit challenging the program. A directive issued Friday by U.S. Homeland Security Secretary Janet Napolitano said E-Verify has encountered criticism for false negatives � people authorized to work who receive non-confirmation notices from the system � and false positives, unauthorized aliens who receive confirmation because they have borrowed or stolen the identify of an authorized worker. Stump said the Social Security Administration has 17.8 million errors in its database, 70 percent of them belonging to records of U.S.-born citizens. He said the agency has acknowledged that once the full program comes into play, more than 70,000 U.S.-citizen workers will either be terminated by law or their employers must bar them from employment as a result of database errors. "It appears as though the Obama administration is at least going to give it another look before attempting to implement the program," Stump said.